Khabarovsk is hot and humid in the summer with temperatures reaching 30 C and cold and dry in the winter with the average temperature being -24 C. However, the temperatures often drop below -30. There are massive ice sculptures on Lenin Square from January until the spring thaw in April as part of the annual Amur Crystal and Ice Fantasy festivals. 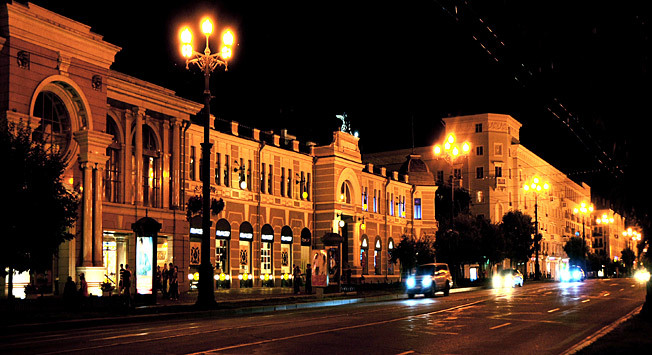 City Day, celebrated on the last Saturday of May, is a good reason to visit Khabarovsk at the beginning of summer.